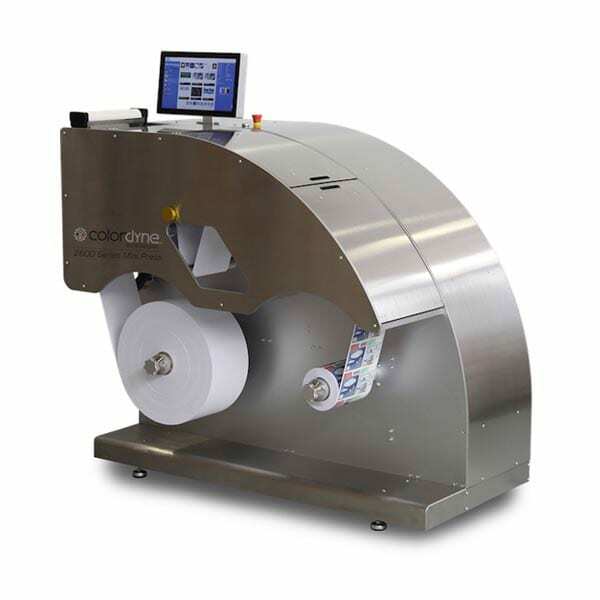 Floor model Colordyne 2600 Series Mini Press roll-to-roll printing platform. This compact solution is easy to operate with its on-press job library and intuitive touch screen. Improve productivity while printing shorter run lengths. 64 in. x 59 in. x 36 in. 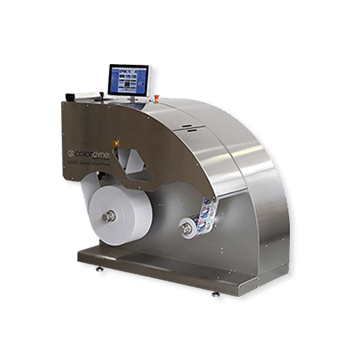 Colordyne offers pre-owned 1600 Series C on-demand label printers on a first come first serve basis. Our inventory is continually changing, so let us know your needs and we will work to find it for you. 21 in. x 11 in. x 21 in. 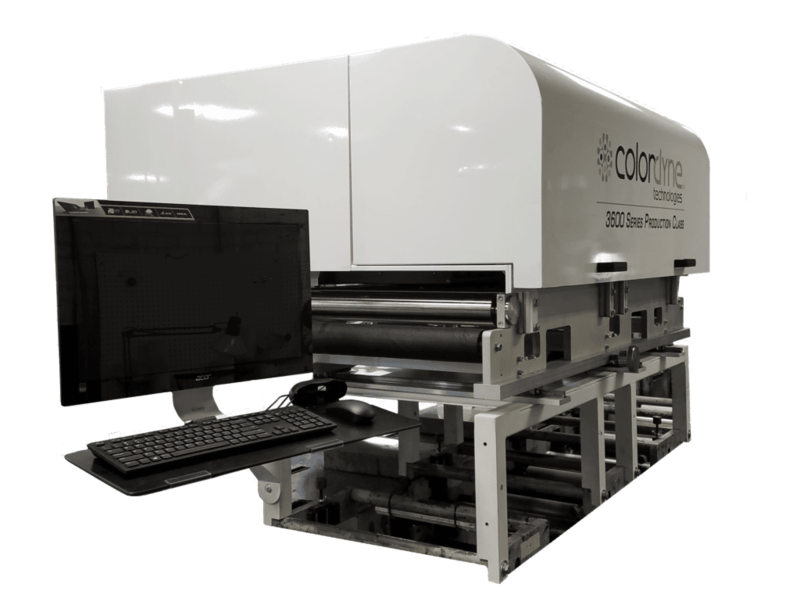 Colordyne has two pre-owned 3600 Series AQ – Retrofit options available for a limited time with 17″ or 8.69″ print widths configurations. This is the best opportunity for converters looking to enhance their existing flexo press or web handling system with high-quality digital.